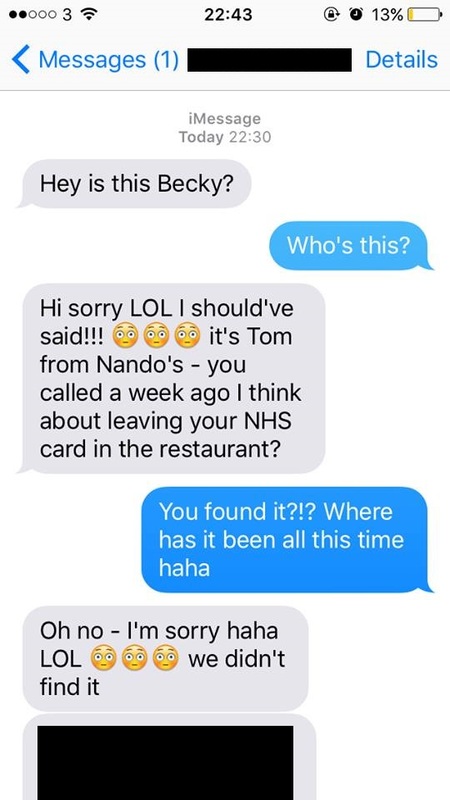 Posting on Reddit last night, user tjstanding provided four screenshots of what are allegedly text messages from a Nando’s restaurant employee to his girlfriend, after she called a UK branch of the chicken emporium a whopping week earlier. 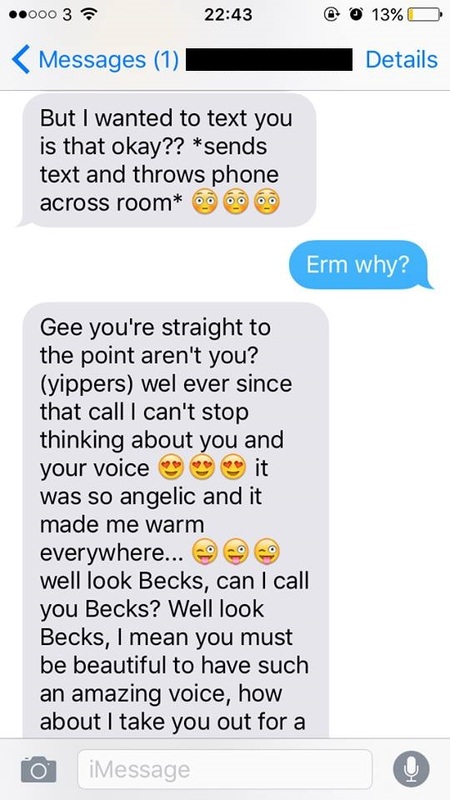 In the messages, the unknown employee attempts to ask Becky, our Reddit user’s girlfriend, out following an incredibly cringeworthy build up featuring some very questionable emoji usage. 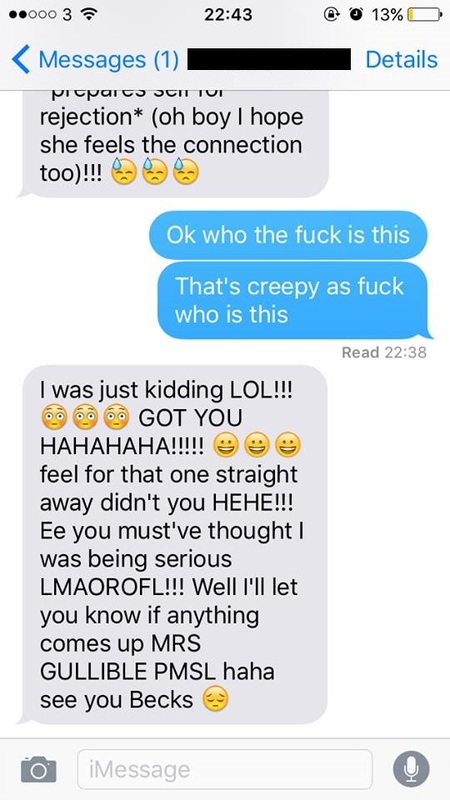 These texts are going viral now with a lot of people calling them the “creepiest texts ever” or some other headline hyperbole. But I think calling them “creepy” is completely inaccurate. 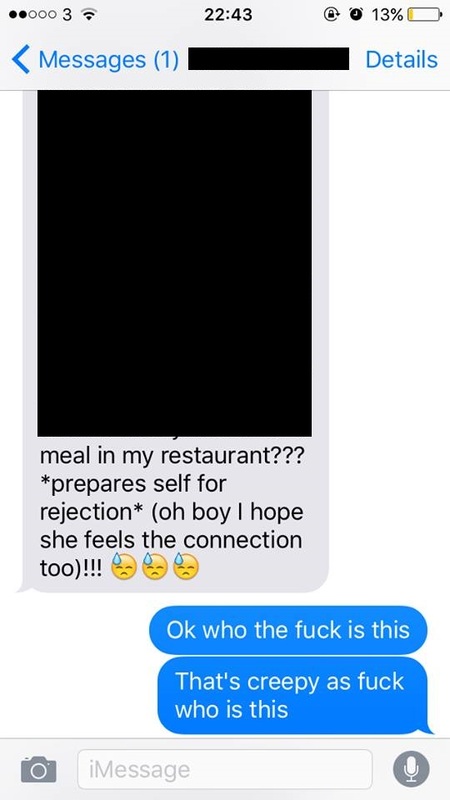 I mean yes there’s a lot of creepiness to taking a number that a girl left because she was looking for her lost card and using it to proposition her with free food from “your” restaurant. And I definitely can’t support the tripled-up emojis and general air of danger this guy’s unwarranted enthusiasm is putting out there. But what the texts really are is an example of a type of guy with no game at all. Him breaking out the *inserting an action and putting it between asterisks* shtick genuinely might be proof that he’s never texted an actual human woman before. So all I would say to Tom here is just keep trying man, you were awful here but keep it a little more brief, cut the emojis in 1/3rd, be a little more direct and confident instead of text pantomiming throwing phones in horror. Some lucky unsuspecting girl who lost her wallet at his Nando’s or was dumb enough to put her name and number on an AIDS walk list would be very appreciative of the effort to get better.